Can we just all agree right now that vanilla bean ice cream is far superior to french vanilla ice cream? Don't even disagree with me on this, because I will cut you! Not really. You can like french vanilla better, that just leaves more vanilla bean for me! And trust me, I will eat it ALL. Now you may be wondering just what in the world is the difference between the two in the first place? Obviously one uses vanilla beans. Duh. But if you're using this recipe, you'll also notice that it doesn't use egg yolks, which so many other ice creams call for. Guess what! You don't have to use egg yolks to make ice cream. Generally the difference is that it won't be as necessarily creamy, but also? It's so much easier to make. Like, super easy. Just make sure you actually chill your mixture thoroughly, as the recipe suggests. I don't think I let mine chill quite long enough, and as such it took much longer in the ice cream maker churning, churning, churning. 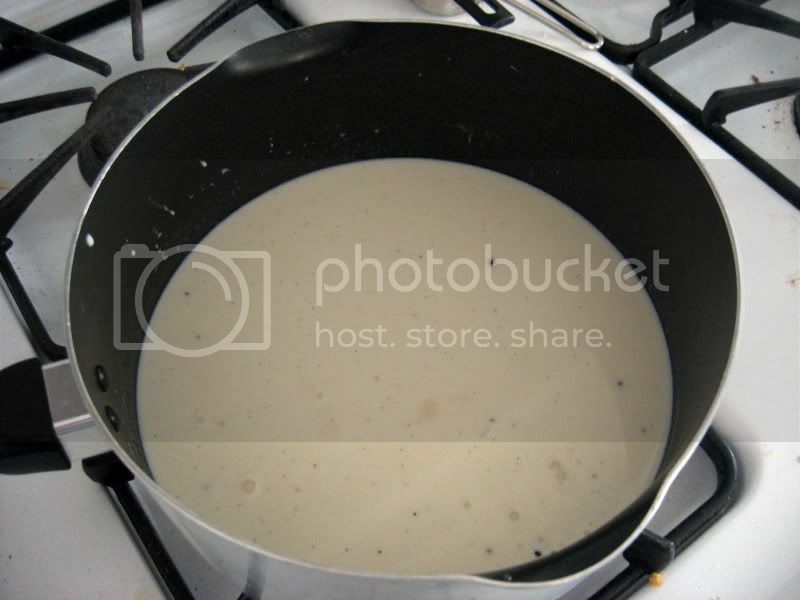 Combine 1 cup of the cream with the sugar and salt in a medium saucepan. 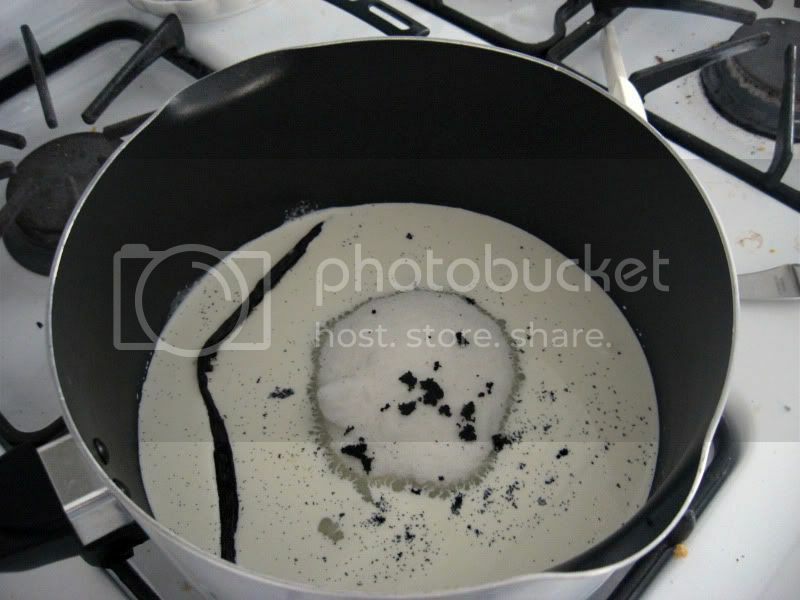 Scrape the seeds from the vanilla bean into the pan and drop in the vanilla pod. Heat over medium-high heat, stirring occasionally, until the sugar is dissolved. 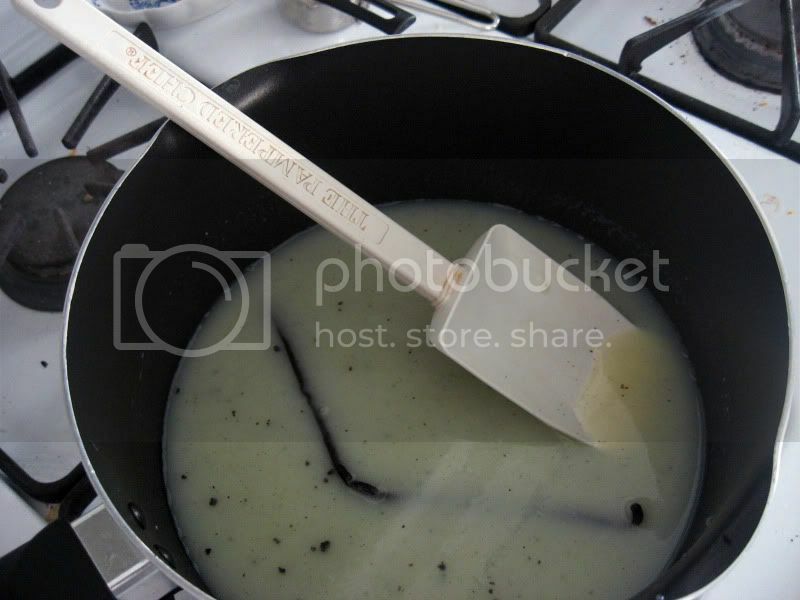 Remove the mixture from the heat and stir in the remaining 1 cup of cream, the milk and the vanilla. Cover and refrigerate until the mixture is well chilled. 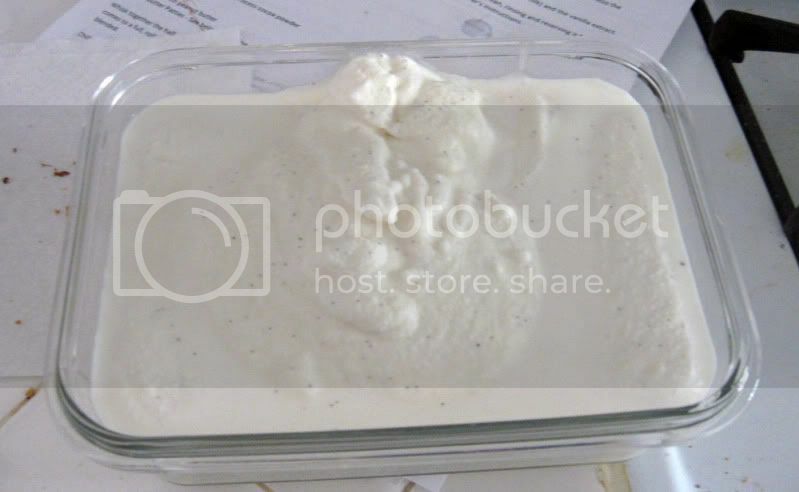 Remove the vanilla bean before churning. Freeze in an ice cream maker according to the manufacturer’s instructions. 1 cup cream, sugar, salt and vanilla bean goodness. That's what it will look like once the sugar is dissolved. Add in the remaining cream, milk and vanilla extract. Put this in the fridge until it's thoroughly cooled. After it's cooled, take out the bean and freeze in an ice cream maker according to its directions. Stick it in a freezer safe container and freeze until less runny than this. Try not to keep sneaking back in for spoonfuls. That's the hardest part.